Underpinning Cromwell’s values is the belief that we have a responsibility to support the communities in which we operate. Cromwell has a long history of supporting charitable organisations, and continues to build on this legacy through the Cromwell Property Group Foundation (Foundation). Since its inception in 2014, the Foundation has donated or pledged almost $800,000 to causes that align with its mission to benefit organisations that conduct research into, or provide support to, initiatives relevant to the mature-aged community. The Foundation donates to organisations that might ordinarily miss out on the spotlight, and whose work will benefit from the level of support that the Foundation can provide. Foundation Committee Chair and Cromwell Chief Operations Officer, Jodie Clark, said the Foundation is proud to continue providing support to lesser known charities, and of the positive change these donations have made on the lives of many. 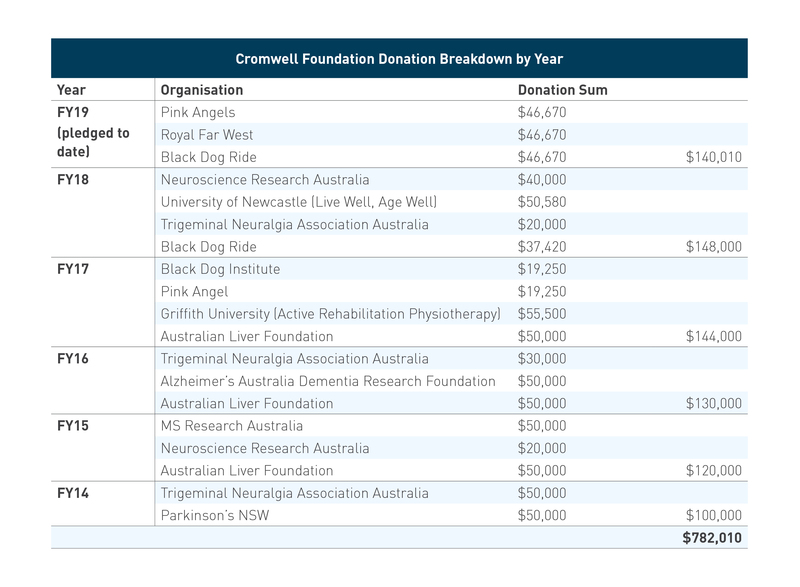 As reported in Insight 23, the Foundation donated a total of $148,000 in FY18 to Neuroscience Research Australia, the University of Newcastle’s ‘Live Well, Age Well’ initiative, Trigeminal Neuralgia Association Australia, and Black Dog Ride. Additionally, more than $140,000 has so far been pledged in FY19. You can now nominate a cause or charitable organisation for consideration. 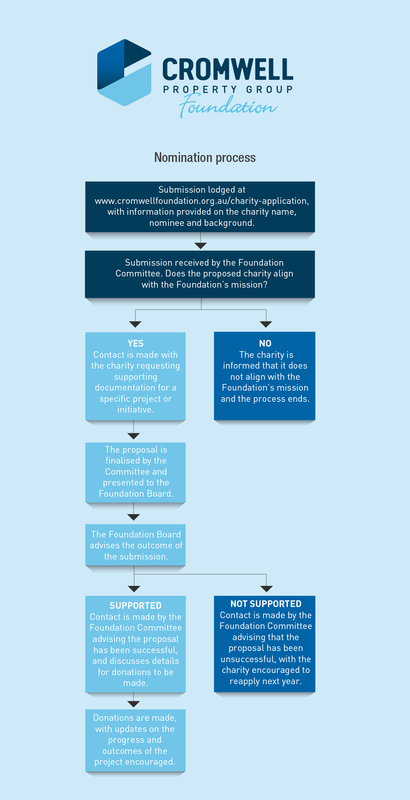 To submit a charity, complete the nomination form and follow the process outlined by 31 May 2019. 4. Successful nominees must commit to providing Cromwell with regular updates.